When Feng Ming Construction Managing Director Hong Beng Lim was a teenager, he witnessed firsthand Singapore’s transformation from an empty rural landscape to a thriving city dotted with an array of high-rise buildings. “The way the roofs led from one building to another always inspired me,” Hong Beng tells The CEO Magazine. 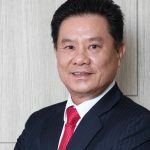 “I wanted to be useful and contribute to society, and I knew that if I took part in this transformation, I would also fulfil my dream.” In 1989, Hong Beng turned his dream into a reality by founding Feng Ming Construction (FM), a civil engineering powerhouse that handles infrastructure projects such as roads, waterways, tunnels and bridges. With a workforce of more than 250 people, the company has conducted more than 120 projects throughout Singapore. Its revenue has doubled over the past five years and, in 2016, recorded the completion of S$500-million worth of construction works. the country’s southeast coast; water diversion works to support the construction of Lendlease Singapore’s massive S$3.2-billion, 3.9-hectare Paya Lebar Quarter development; and the rejuvenation of Muscat Street, which leads to the mesmerising Masjid Sultan mosque. The redevelopment project, undertaken in 2012, was a collaboration between Oman’s Muscat Municipality and Singapore’s Urban Redevelopment Authority. It involved infusing traditional Omani architecture, such as eight-metre-high granite arches to frame traditional artworks and ancient tiling patterns. Challenges are a part of every business and, for Hong Beng, one of the most difficult projects was the company’s first vehicular bridge (flyover) on Braddell Road. “In a flyover, you have to build your supporting structure,” he explains. Throughout its operating years, FM has gained acclaim for its innovative approaches to construction. Its road network, which supported the development of the Jurong Lake District, earned FM a Land Transport Authority Innovative Solution Award as it pioneered the use of beam-jacking to construct a bridge under live train viaducts. Similarly, FM’s upgrade to the Rochor Canal received a Singapore Contractors Association Innovation Award for not affecting the existing water flow during construction. The Rochor Canal upgrade proved another challenge for FM. Part of the Public Utilities Board’s Active, Beautiful, Clean (ABC) Waters program, it involved widening the canal for better drainage. “It was quite complicated,” Hong Beng recalls. “Before we could start on the canal, we had to build a dam to prevent water flowing into the construction area. However, cracks started to form in the dam which created leakages. To stop the problem, we used biodegradable dyes in the water to identify the leaks and cracks while not harming the environment,” he adds. The cracks were then patched up with clay and the construction continued. Having worked in the construction industry for more than 30 years, Hong Beng says the biggest change he has seen is the amount of information now available when embarking on a project. He specifically refers to Building Information Modelling (BIM) which has revolutionised the construction industry. But what has remained the same since FM’s establishment is a commitment to safety. “All our staff are required to do a Safety Induction Course,” Hong Beng says. “We also carry out safety training daily, giving our staff an overview of the project and alerting them to all possible dangers onsite. Our staff are also sent to learn the new city rules and regulations implemented by our government.” An annual safety seminar further keeps FM employees updated on the latest safety trends. Further, FM endeavours to support subcontractors who don’t secure bids. “In a typical contracting model, several bids are put in and the most competitive one is selected,” Hong Beng continues.